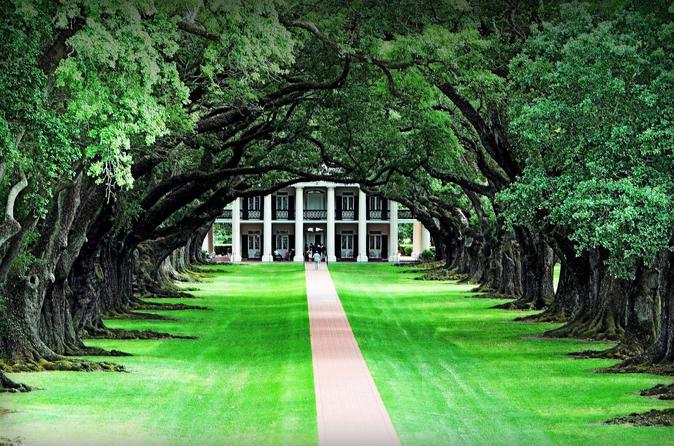 This is a six-hour chauffeured and historian guided tour to plantation country. Pick which plantations you would like to see and tour while relaxing on the beautiful ride down River Road, home to "America's Castles." The plantations of the landed gentry of the old antebellum south. Your historian tour guide will ensure you have a comprehensive knowledge of the culture that existed in the South at the time these homes were built. You won't just be touring a house, you will be touring a lost era of American History. Travel back in time as you ride down Historic River Road showcasing “America’s Castles,” the Antebellum plantation homes of the South’s long lost planting elite. Take a rare glimpse into the opulent setting of a bygone era. Sip a mint julep on the porch of Oak Alley Plantation after enjoying your picnic, served on the grounds of the plantation. This is a six-hour chauffeured and guided tour to plantation country. Customize your tour by picking which plantations you would like to see while relaxing on the scenic ride down River Road. Your tour guide will ensure you have a comprehensive knowledge of the culture that existed in the South at the time these homes were built.